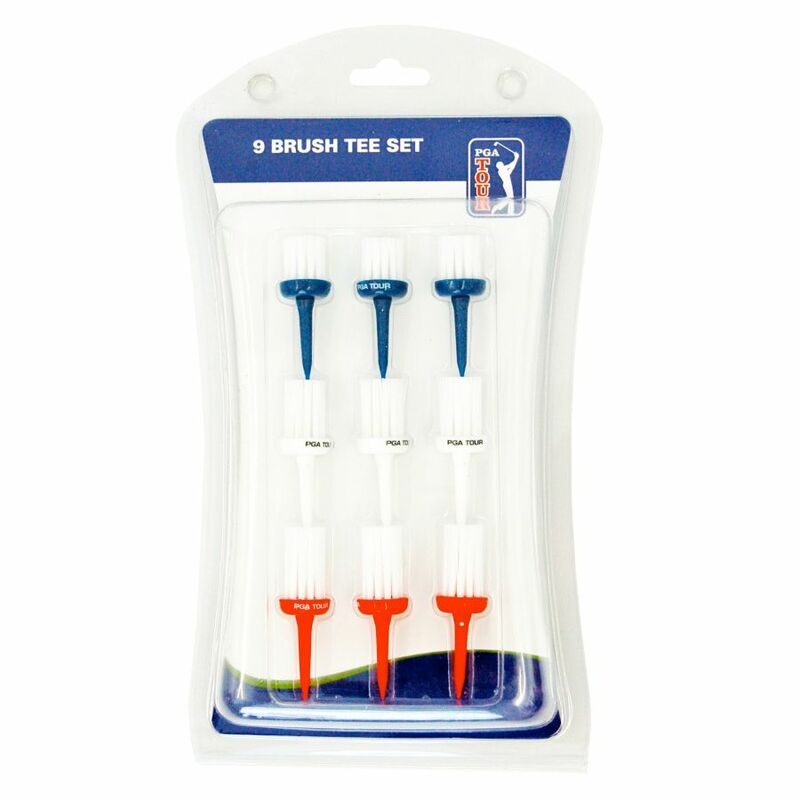 The pack of 9 PGA Tour brush tees boasts a revolutionary design that reduces spin rate and thereby increases your driving distance. 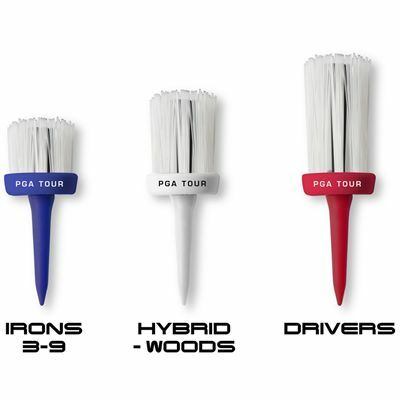 The tees also help decrease friction on the ball when teeing off and the robust nylon bristles hold the ball at a constant height for consistent striking. 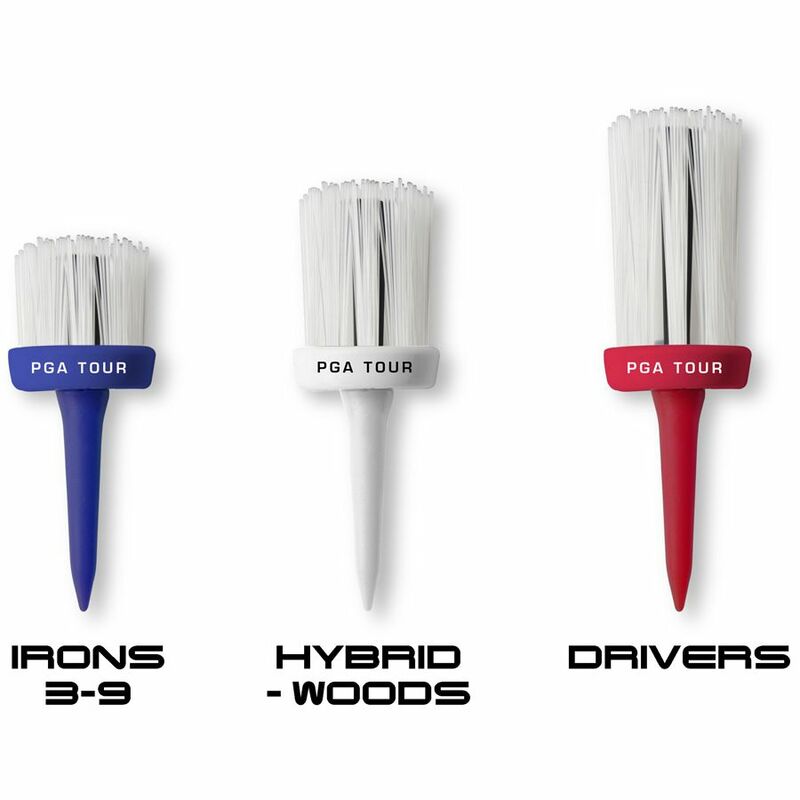 This official PGA Tour merchandise contains 9 tees in 3 sets of 3, for irons 3-9, hybrid-woods and drivers. for submitting product review about PGA Tour Brush Tees - Pack of 9.